The Genghis Khan-Nabe is a special helmet-shaped pan made from cast iron. It is a dish in which thinly sliced mutton and vegetables like bean sprouts, cabbage and pumpkin are basted and roasted. 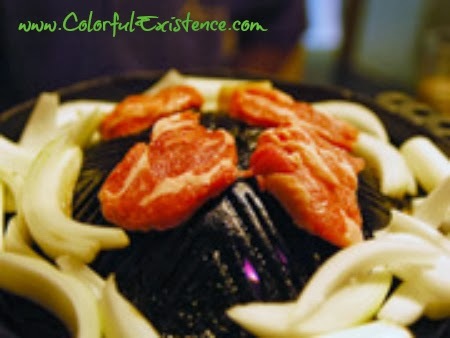 The main ingredient of Genghis Khan-Nabe is barbecued mutton. Don’t worry, you’ll not be eating the “remains” of the former ruler of Mongolia! Perhaps its name stems from being a favorite of Genghis Khan, founder of the Mongol Empire. Or perhaps, it stems from Mongolian soldiers roasting mutton in their warrior helmets. Whichever the case, this dish is renowned for its hearty taste and unique rustic flavor. Many restaurants around Hokkaido specialize in Genghis Khan-Nabe and it is very popular at large beer parlors such as the Sapporo Bier Garten and Kirin Beer Garden, which are always crowded with tourists. I’m honored to receive such a compliment! Thanks!! Suddenly I have a craving for this! Sounds yum! I’ve never heard of this before. =) Thank you for the cultural posts; I always find them fascinating/helpful. My pleasure, i’m really glad to do it! I’m really glad, would love to! of the challenges. It was definitely informative. Your website is very helpful. I simply want to say I am very new to blogs and honestly liked you’re web-site. Probably I’m going to bookmark your site . You really have incredible articles and reviews. With thanks for revealing your blog. I simply want to tell you that I’m all new to blogs and certainly savored this blog site. Probably I’m likely to bookmark your site . You surely have terrific articles. Thanks a lot for sharing with us your web site.